Dr. Randy Hitz is a Carnegie Foundation senior fellow providing leadership and direction for the Foundation’s higher education field building agenda. He is dean emeritus of the Graduate School of Education at Portland State University. His higher education administrative experience spans three decades and also includes dean positions at the University of Hawaii and Montana State University. Before becoming a dean, he served in the Oregon Department of Education as the early childhood education specialist and helped to create Oregon’s state prekindergarten program. His teaching experience ranges from preschool and kindergarten to graduate education. Dr. Hitz has published over 60 professional articles on topics related to educational policy and curriculum. 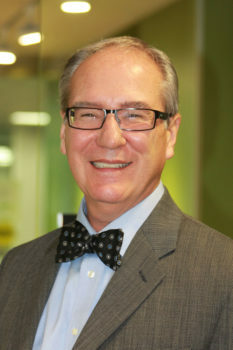 He has served on a wide variety of state and national boards and committees, including the teacher licensing boards of Montana and Hawaii, the Board of Directors of the National Council for the Accreditation of Teacher Education (NCATE), and the Board of the American Association for Colleges of Teacher Education where he served a term as chair. He chaired the Unit Accreditation Board for NCATE and the Accreditation Council for the Council for Accreditation of Education Professionals (CAEP). He also served on the board of CAEP and currently serves on the Council for Educator Advancement formed by Oregon’s Governor, Kate Brown. Dr. Hitz has a Ph.D., master’s degree, and baccalaureate degree from Indiana State University.